Everyone's favourite giraffe, Sophie, introduces babies and toddlers to home and garden first words in this lift-the-flap board book. Babies and toddlers will love investigating and exploring Sophie's home. There's lots of fun to be had by lifting the colourful flaps and discovering what's hiding underneath. Which bedroom object hiding behind Sophie's bed goes tick-tock? What says quack quack that's hiding in Sophie's toy box? All the home and garden objects are here, ready to be revealed! 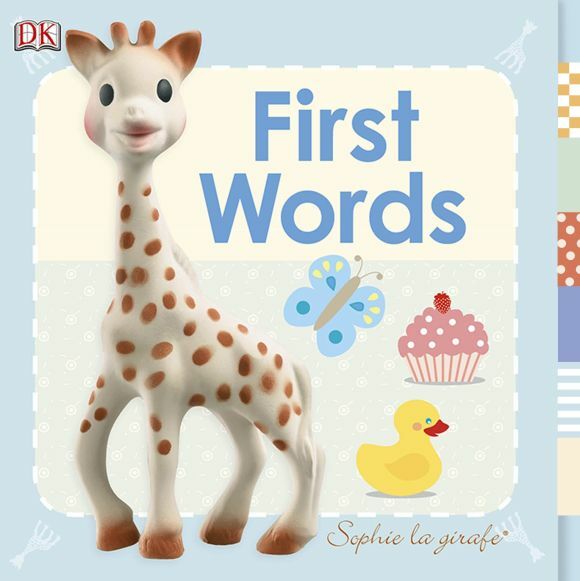 Sophie la Girafe First Words is ideal for reading aloud and encouraging early reading. The colourful images will capture little ones' imagination and help them to recognise everyday objects.